Is an American writer, specializing in Christian and Amish romantic fiction. 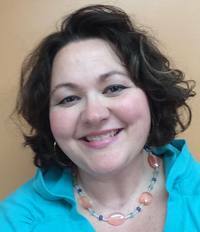 She was born in New Orleans, Louisiana, grew up in Little Rock, Arkansas and currently resides in Geneva, Ohio with her husband, James Fuller, and three children. As a stay-at-home mother of three Kathleen Fuller became enamored with Christian fiction. She started writing in 2000, and a year after published her first short story. By 2003, she published her first novella, "Encore, Encore" and by 2004, Kathleen would release her first full-length novel, Santa Fe Sunrise under Avalon. Since then Kathleen has authored several short stories, novellas, novels, and some freelance non-fiction works. 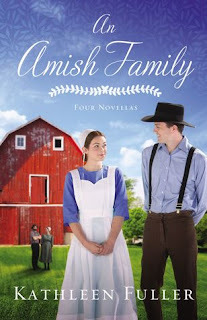 Kathleen's break out year came when Thomas Nelson Publishers offered her several opportunities to write and participate in a series of Amish romance novels. In 2009, Kathleen’s novel, A Man of His Word, was released and became a CBA and ECPA bestseller. Kathleen followed that with the successful release of the anthology An Amish Christmas featuring her novella “A Miracle for Miriam.” The anthology would go on to become a CBD, CBA, and ECPA Bestseller. really enjoyed this collection of four Novellas, and no you can’t read just one. Once I finished a read, I was quickly turning to the next, and yes, they are all equally good. Whether there are long deeply held grudges, over protecting mothers, surprising an unexpected beau, or pretending to court to stop the matchmaking. Something for everyone, and they sure kept my attention, I couldn’t wait to read the next one, they are that good.